A) Why we need anti – static protection for our equipments ? Have you ever walked across a carpeted floor and got a shock when you touched a doorknob, table, counter, or even another person? B) Why should we concerned about the impact of electro-static discharge ? A shock that you can't even feel can seriously damage your homebuilt computer before you're even finished building it. 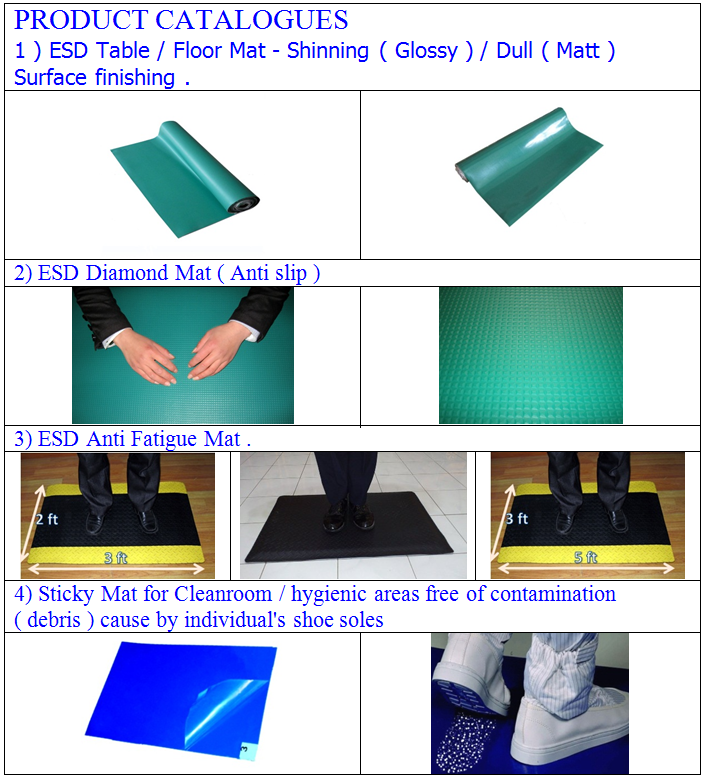 C) Why anti static carpeting for your facility ? To prevent triboelectric damages our machines / equipments / electronic parts etc . Glue / Lay loose and each have their own path to ground .